JEANETTE AGER was awarded an Exhibition to study at the Royal Academy of Music where she won numerous prizes. Jeanette has also won the Gold Medal in the Royal Over-Seas League Music Competition, the Richard Tauber Prize for Singing and an award from the Tillett Trust Young Artist Platform. As a soloist, Jeanette's concert and oratorio work has included: recitals and other appearances at the Wigmore Hall; Handel’s Messiah at St David’s Hall, Cardiff; Elgar’s Dream of Gerontius at the Queen Elizabeth Hall; Tippett’s Child of our Time at the Royal Festival Hall; Verdi's Requiem at Gloucester Cathedral; Beethoven's 9th Symphony at the Barbican Concert Hall and the Missa Solemnis at York Minster, Truro and Exeter Cathedral. In addition to performances at many of the leading venues in the United Kingdom, Jeanette's concert work has taken her to Bermuda, the Czech Republic, Spain, Libya and China. Her operatic roles have included Cherubino in the Marriage of Figaro, (Mozart); Dido in Dido & Aeneas, (Purcell); The Marquise of Birkenfield in La Fille du Regiment (Donizetti); Rosina in The Barber of Seville (Rossini); Suzuki in Madam Butterfly (Puccini); and Thea in The Knot Garden (Tippett). With the Royal Opera House she appeared as one of the Apprentices in Wagner's Meistersinger at Covent Garden. 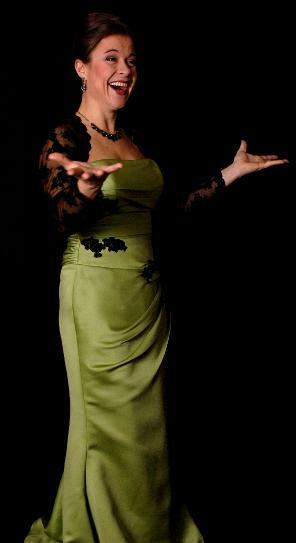 As a soloist, Jeanette has recorded for Hyperion, Deutsche Grammophon and Philips. Jeanette recently sang the Angel in the first performance of Elgar's Dream of Gerontius in China. She also performed at the Three Choirs Festival singing Britten's Spring Symphony and John McCabe's Songs of the Graden which was broadast on BBC Radio 3.